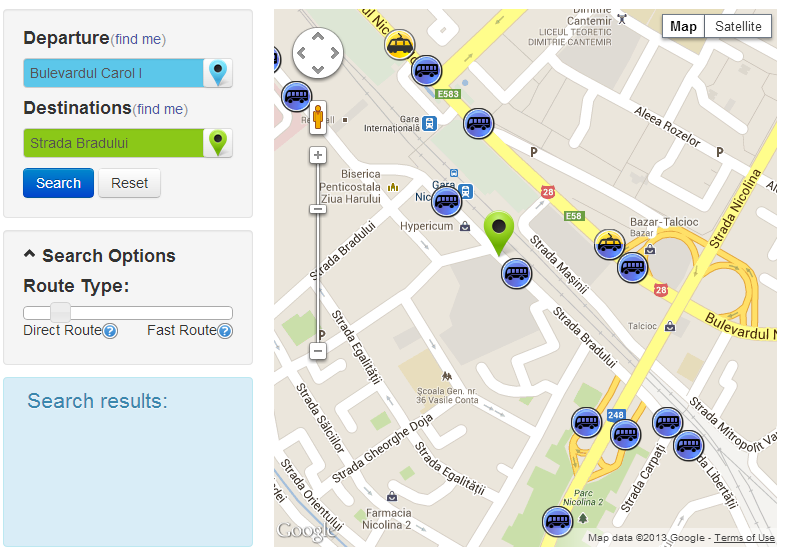 Easy Transport is a website that helps users get around the city of Iasi using public transport. 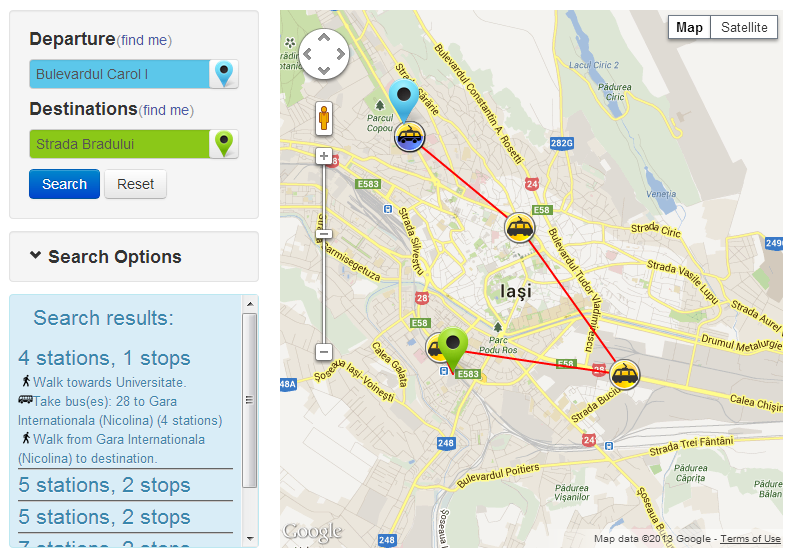 A user inputs the departure and destination locations(as a location on the map or the name of the station) and a complex algorithm calculates a number of optimum routes that the user should take in order to reach the destination. The algorithm tries to calculate the best route by taking into account many things: route frequency, number of alternative routes, number of exchanges, number of stations, walking distance, station popularity. 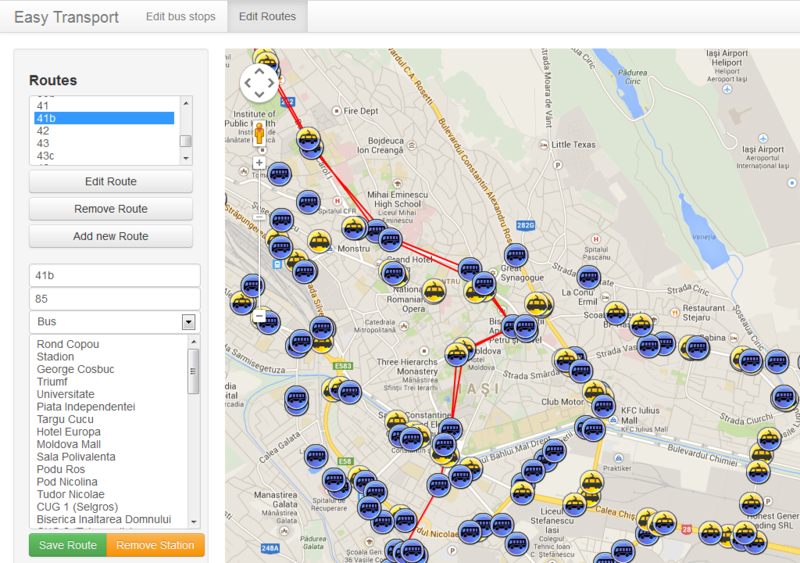 Options for configuring the routes: direct or fast. 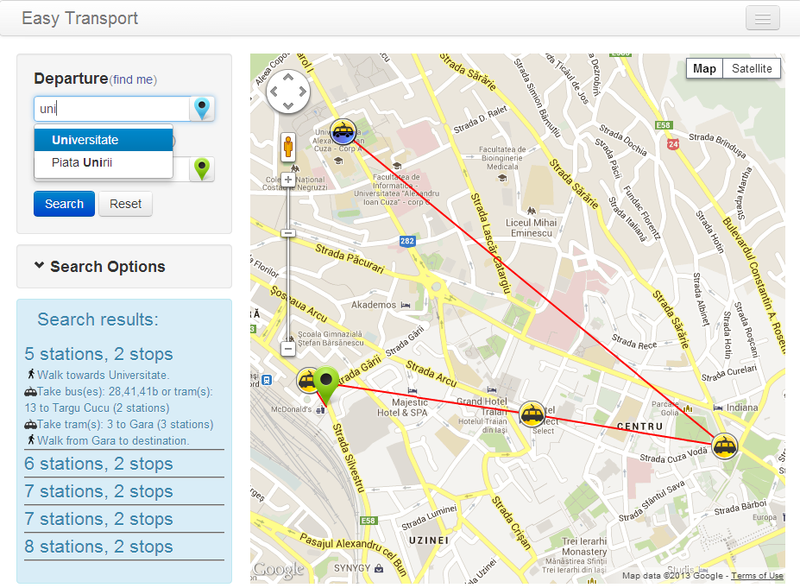 EasyTranport was developed in 2013 as a project for Web Technology course by a team of Computer Science students.